You can’t really be good at something, you hate! Today, I have the great pleasure to discuss with Sukhi Jutla, Founder of MarketOrders, the B2B trade marketplace for gold jewellery and diamonds. Sukhi is the author of 3 books including ‘Escape The Cubicle: Quit The Job You Hate. Create a Life You Love’, a regular keynote speaker and passionate about supporting female entrepreneurship. She is an IBM Blockchain Foundation Developer and became the World’s First #1 Bestselling ‘Blockchain’ Author. Listed as one of the Top 100 Asian Stars in UK Tech, Sukhi left a decade of corporate life to be an entrepreneur. A meaningful life for her is being the best version of yourself and fully accepting who you are and what you have to offer. She is passionate to get people to really understand that there’s more to life than just a desk job. In this episode, she shares great insights from her journey, challenges and lessons learnt that I am sure will inspire you to live your dream life now. Why walking away from a quarter of a million pounds was one of the most empowering experience she ever had and became even more fearless! 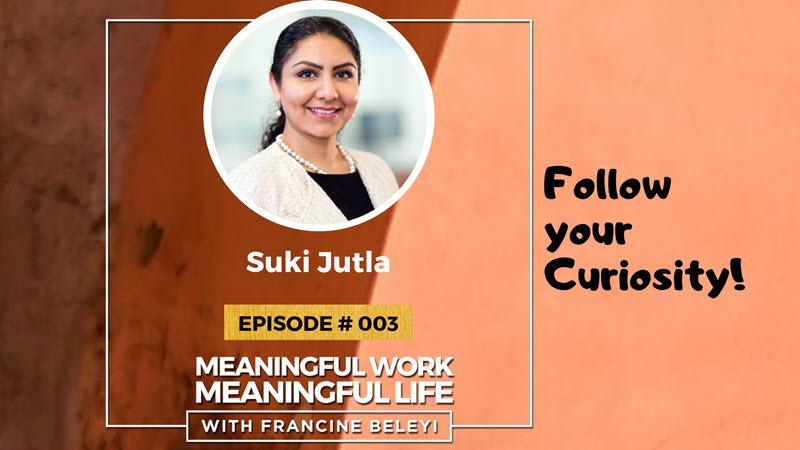 Now, listen to my conversation with Sukhi Jutla to learn much more. Let’s dive in. Four Hour Workweek his book actually really inspired me to you know get moving on my dreams and goals. The surrender experiment – The untendered soul – by Michael a singer. Want to suggest guests to this show? 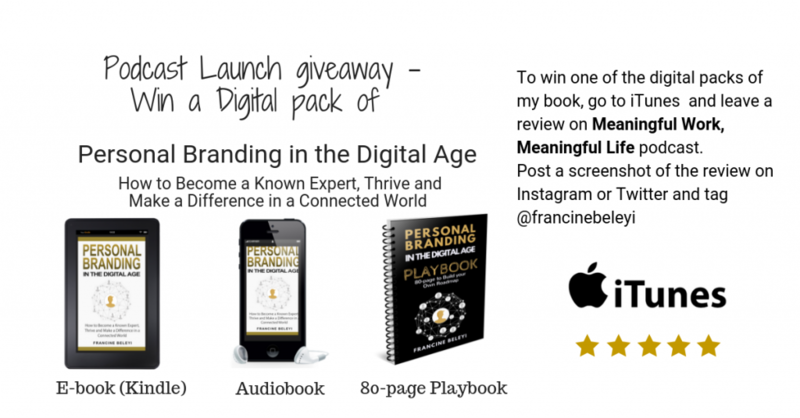 Thank you @francinebeleyi for this inspiring podcast ! I’m thinking of writing a book since 2017 but I feel discouraged by the magnitude of the challenge. As Sukhi Jutla says, it’s not enough to make a decision, you have to make a commited decision. Her experience of thirty minutes a day seems quite accessible to me, so let’s stop procrastination to #meaningfulwork #meaningfulLife “being the best version of yourself and fully accepting who you are and what you have to offer” as Sukhi Jutla says.